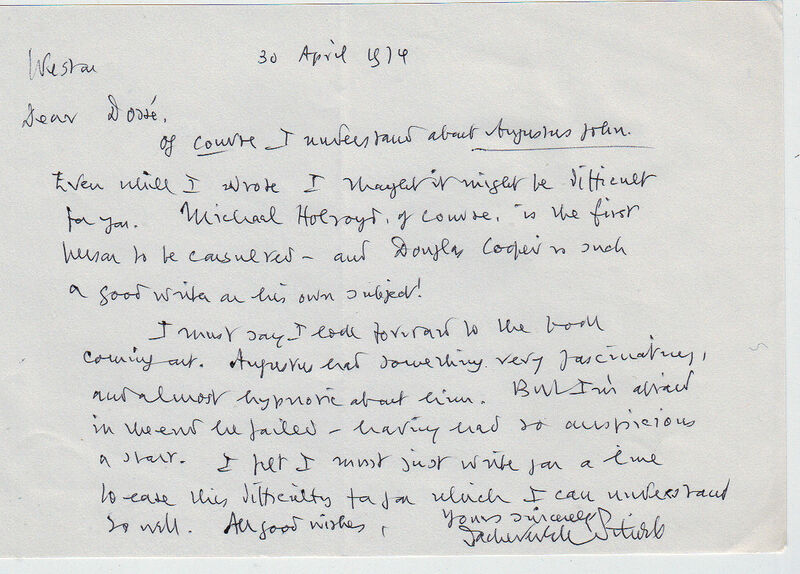 Autograph Letter Signed ‘Sacheverell Sitwell’, to Philip Dossé, editor of Books & Bookmen, about Michael Holroyd’s biography of Augustus John, suggesting that an article be written by Michael Holroyd himself, or by Douglas Cooper. A good one page example, 5 x 8 inches, fine. Weston [Hall, Towcester], 30 April 1974. Sacheverell Sitwell (1897-1988), writer. “Augustus had something very fascinating, and almost hypnotic about him. 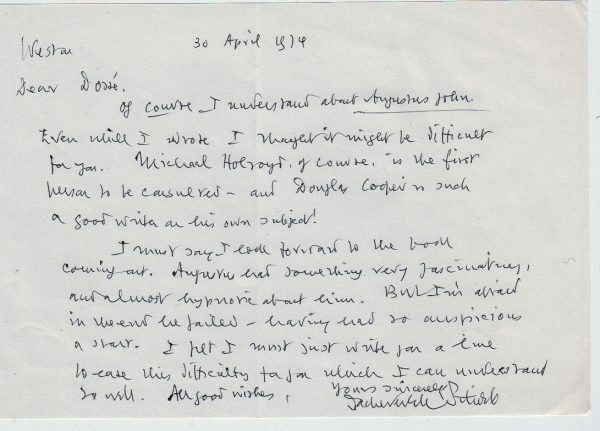 But I’m afraid in the end he failed – having had so auspicious a start.” In the end, Sitwell reviewed both volumes of the famous biography in Books & Bookmen.